When you are facing any legal challenge — ranging from an insurance dispute over hurricane-related property damage or other property damage from fires to water leaks, — you need a lawyer with the experience and understanding to protect your interests and pursue your desired outcome. I am a Fort Lauderdale-based civil law attorney. 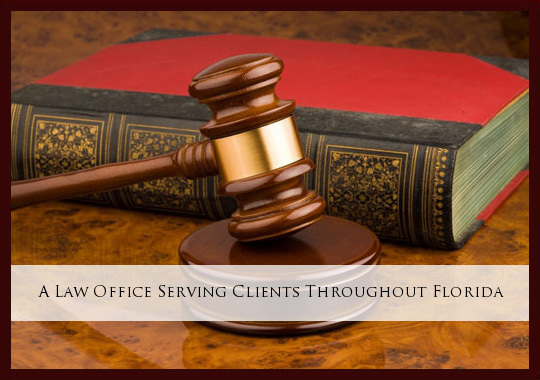 Since 1979, I have helped clients throughout Florida resolve difficult legal problems through a combination of trial advocacy skills, comprehensive knowledge of the law, and keen attention to detail. My practice encompasses issues ranging from suing insurance companies for property damage of any sort, from catastrophic hurricane damage to house fires and other insured losses, to construction law, employment law, maritime law and the negotiation of contracts. My practice includes the representation of individuals, businesses and municipalities in state and federal litigation and appeals, as well as administrative proceedings. This is a small law office dedicated to personal attention, sophisticated advice and long-term relationships, an approach that has become increasingly rare in today's world of impersonal mega-firms that may assign your case to an attorney you have never met. 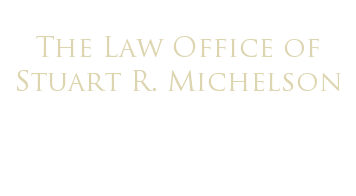 Copyright © 2018 by The Law Office of Stuart R. Michelson. Based in Fort Lauderdale, I serve clients in South Florida (Broward County, Miami-Dade County and Palm Beach County) and statewide, including Miami, Boca Raton, Weston, North Miami, Miami Beach, Hollywood, Hallandale Beach, Sunrise, Tamarac, Coral Springs, Lighthouse Point, Pompano Beach, Deerfield Beach, Plantation, Davie, Margate, Parkland, Aventura, Pembroke Pines, West Palm Beach, Port St. Lucie, Orlando, Tampa, St. Petersburg, Jacksonville and Pensacola.